After our session on global solidarity against water grabs, I headed to south east Turkey, to the region where the GAP project is being implemented to attend the Hasankeyf Ingathering and explore this ancient city under threat of being engulfed by the Tigris river and with it, to wash away its ancient history and the culture of Mesopotamia. The town of Hasankeyf, located at the intersection of Mesopotamia and Anatolia, is a small village of 2,900 people on the banks of the Tigris River. Mesopotamia, from the Greek “the land between the two rivers”. After the Arab conquest, the land was divided into two: the south was called Sevad or Iraq, and the north was called Al Jazeera- “island”. Excavation in Hasankeyf Cairn proved that this town was part of the Neolithic revolution, taking Hasankeyf 11,500 years back in history. For this reason it has been shortlisted for the Europa Nostra List of “the 7 most endangered”. Hasankeyf was one of the major stops on the transport route during medieval times, that started from Diyarbakir, passing through Cizre and Mosul to Baghdad. This was only because of the Tigris River, which is now under threat by the construction of Ilisu Dam, on a region that once was the beginning of civilization. It was also here in Hasankeyf were Islam set its roots in Anatolia, making the region around Hasankeyf one of the most important historical sites for the Islamic world. Many rulers and conquerors passed through Hasankeyf, which reached its peak and developed its true identity between the twelfth and fifteenth centuries under the rule of the Artuqids (1102-1132) and Ayyubids. 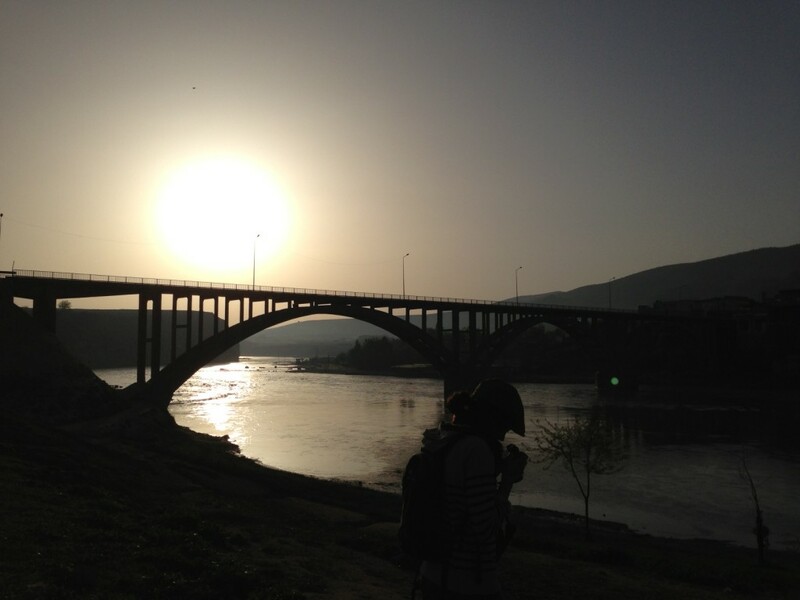 The bridge built by the Artuqids in Hasankeyf stands as the most magnificent example of the medieval period. There have been historical sites that have been already flooded, notably the roman city of Zeugma, near Gaziantep, which was submerged by Birecik dam on the Euphrates, the city was an important center for the Romans. When the dam lake started to sink the city, with some of the “most extraordinary examples to survive from the ancient world”. Some of the world’s top restorers arrived from Italy to rescue them from the floodwaters. Now you can visit the “Atlantis” underwater city and the historical park/museum that was built which displays the ancient mosaics. The Zeugma Mosaic Museum, at a cost of 30 million dollars has a collection of the rescued mosaics. Now visitors are able to see the carefully excavated buildings and streets, just 50 yards from the lake created by the dam reservoir there is a shiny $1.5-million multi level structure constructed to protect the remains of five Roman houses. 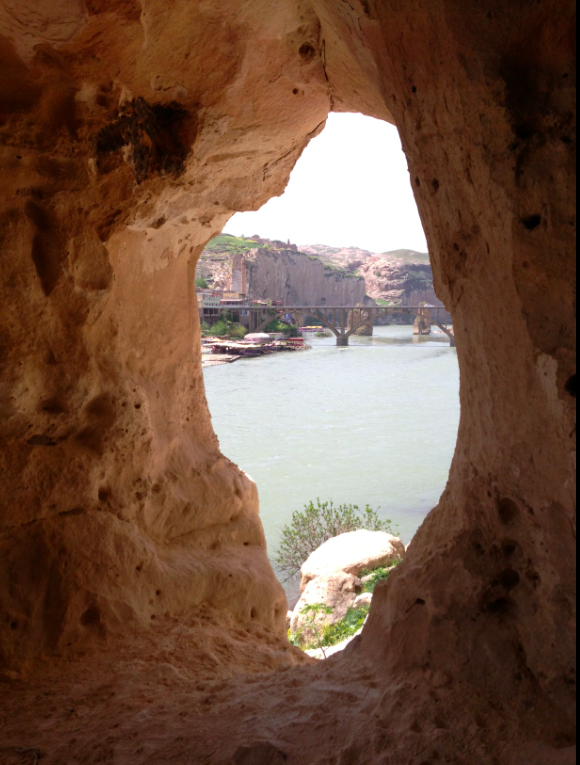 The area of Hasankeyf was declared an archaeological site in 1978. Yet it is threatened to be flooded by the Ilisu dam, The project is built 80 km. 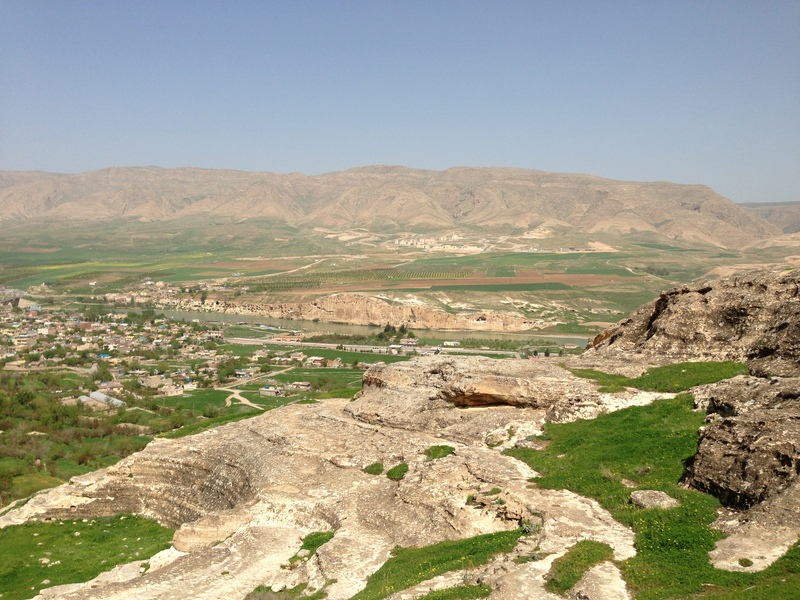 downstream of Hasankeyf and the dam lake will cover all of the lower city. However, a scheme for relocation/protection of the monuments against inundation has not been researched, planned or approved. The Tigris River has been diverted through tunnels at the dam site, but still no concrete plan is in place for the sites protection and conservation. 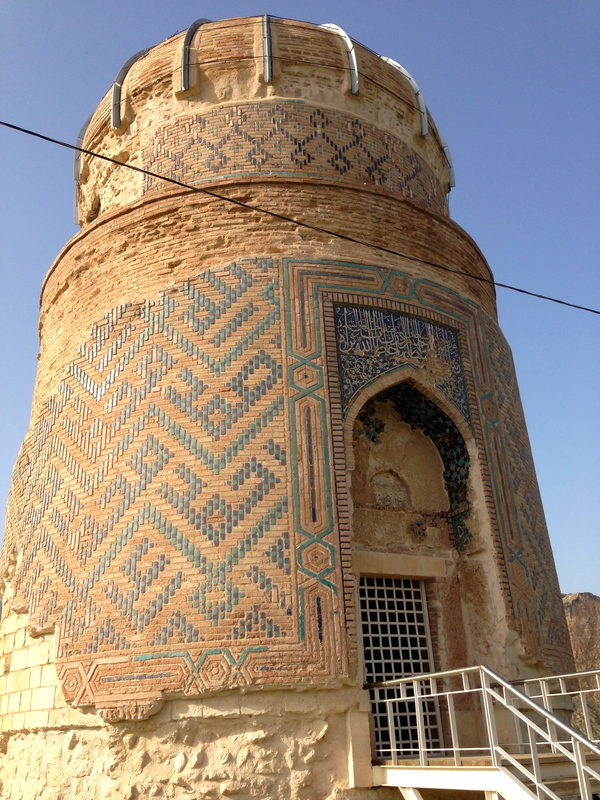 The collection of structures in Hasankeyf represents a unique collection of cultural assets in good state of preservation in one place that is valuable to those living in Modern Turkey, Greece, Iran, Syria, Iraq and beyond. In addition to its cultural value, Hasankeyf is unique for its biological diversity. A 2012 study by Murat Biricik and Recep Karakan recorded 133 species of birds, 18 of which are threatened species. The value of biodiversity is protected by 1992 Convention on Biodiversity to which Turkey is a signatory. Together with a delegation from Iraqis from Nature Iraq and ICSSI-Save the Tigris Campaign, and internationals working in Iraq, we joined the 3rd Hasankeyf Ingathering “hosted jointly by by Doga Dernegi, Hasankeyf Matters and Nature Iraq. The ingathering is meant to promote Hasankeyf’s potential as a world class tourism site, but most importantly, to link locals and internationals together to share ideas on how to make the issue of Hasankeyf known to the rest of the world and to present Hasankeyf as a source for scholarship, cross-cultural understanding and sustainable economic development. On Friday night, after dinner at Hasbahce, we watched Hasankeyf Life in Limbo, a documentary by Sakae Ishikawa, that we were very honored to have with us in Hasankeyf. John Crofoot from Hasankeyf Matters presented the program for the weekend, which included a scavenger hunt, a video contest, canyon walks and documentary watching and discussions. 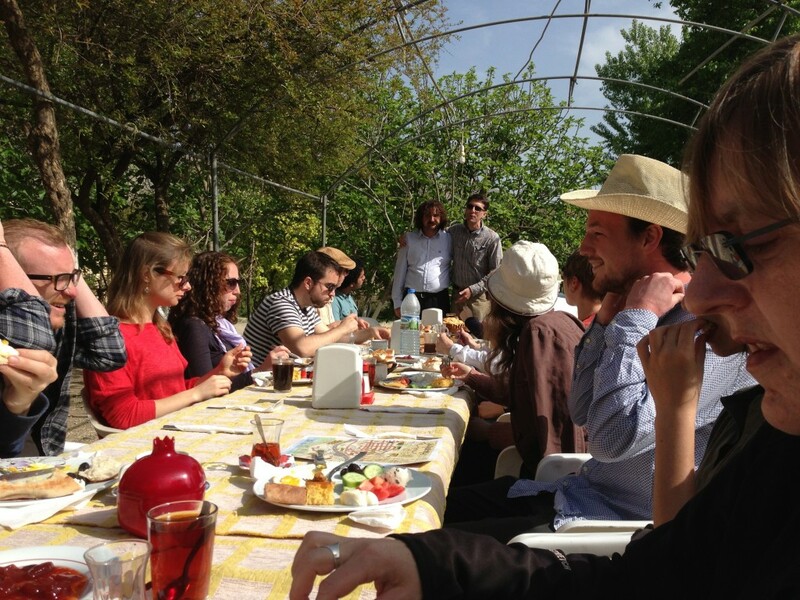 The program also included hiking, and canyon walks, early bird watching, and art workshops with children, and drinking tea and chatting with Hasankeyf women. Exploring the town means to go back in history to visit to visit the Ayyubids, through Hasankeyf’s Rizk and Koç mosque, Suleiman’s mosque, Zeynel Bey Tomb, hiking through its amazing canyons, and meeting the local “çoban” or shepherd, and exploring the thousands of caves carved into the limestone cliffs overlooking the Tigris River. On a Saturday afternoon, we were invited by the village women for delicious dolma-stuffed vegetables and grape leaves, and we seated on the grass overlooking the majestuous Suleiman’s mosque dating back to the 15th century. There, we were surrounded by children playing and the silent monuments testifying to thousands of years of culture and history; we chatted about customs and traditions in Hasankeyf, talking about weddings, and traditional life. On Sunday early morning, some woke up just before 5:00 to hike up on the canyon, to enjoy the amazing views that Hasankeyf offers, and watch the sunrise from one of the canyons, I was a bit lazy and woke up just before 6:00 for the bird watching. It was my first bird watching experience, but Evrim, our local Doga Dernegi guide made it a great one, Hasankeyf’s breathtaking views are sufficient to make anyone want to wake up early. Its quietness, its birds, its river, its cliffs, its monuments all conspire to make Hasankeyf a unique jewel, a place of peace, of joy, of happiness. 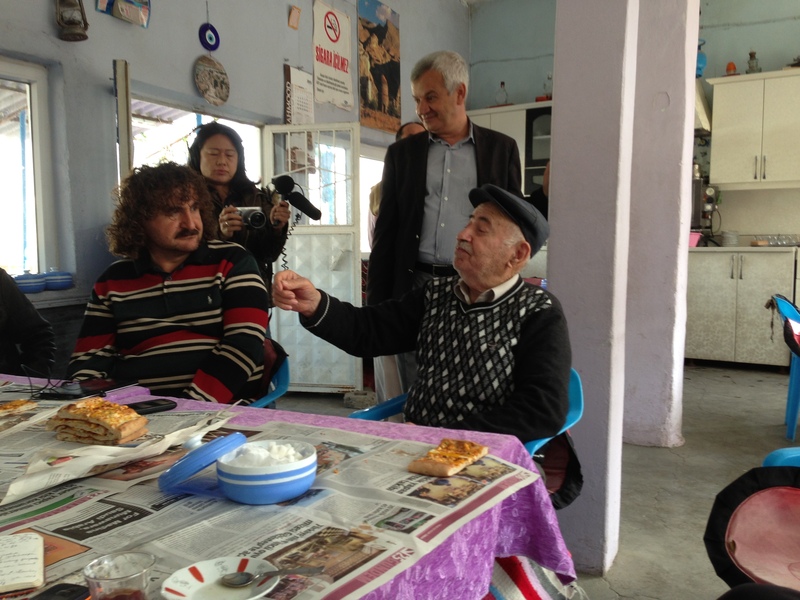 On Monday morning, over tea and pide, Fares, a Hasankeify, described the trips on the Tigris using the Kelek, the traditional boat they used to transport goods through the Tigris River from Diyarbakir to Mosul. These trips along with the traditional boats used stopped around the 1960’s, coinciding with the dam era. Our attempts to gather the local knowledge of the river and how these trips were done are part of the The Tigris Flotilla, where we will reproduce the journey through the Tigris using the Kelek, the traditional boat used in this part of the Tigris. We will also travel with the Tarrada and the Guffa, trying to bring awareness to the threats facing these timeless waters.